“Fractional ownership is not unique to blockchain, in fact, it’s not even unique to this century. Joint ownership dates back to the Roman Republic, or the Dutch East India Company in more modern times. However, some assets classes such as commercial real estate and fine art continue to be characterized by high unit costs. Equity tokens enable companies to raise equity using blockchain technology without locking up investors. Issuers of securities tokens are seeking to access the large pool of institutional money that has not yet penetrated the crypto currency market. Institutional investors expect KYC/AML, data protection and see a hurdle in one of the core elements of the blockchain, namely its immutability. In 2019 there will be a race between stock exchanges, which can offer the first regulated market for securities tokens. The Austrian Financial Market Authority approved the first financial prospectus for a fully regulated tokenized security in the European Union in late November. The Financial Market Authority in Liechtenstein already approved Liechtenstein’s first security token in August. Mt. 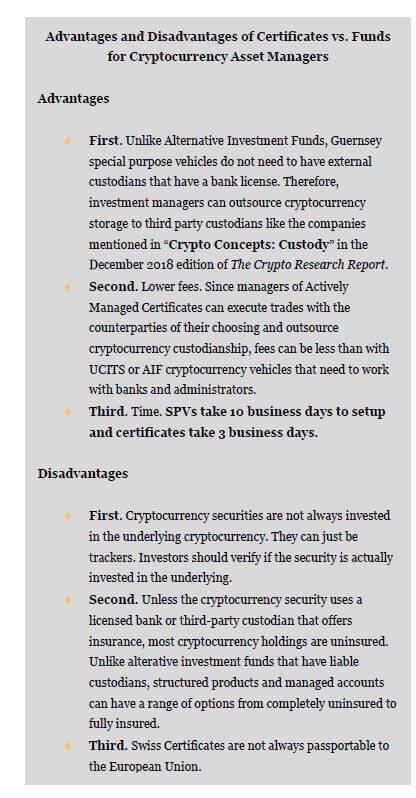 Pelerin, Tokenestate, and Securosys are also purportedly offering security tokens in Switzerland. This means that a cryptocurrency can represent legal ownership in a company or can represent other securities, such as certificates and bonds, if they also register as a security. Unfortunately, there are no cryptocurrency exchanges that are licensed to trade security tokens. However, equity tokens are not for the standard cryptocurrency investor. Instead, equity tokens are trying to access the large pool of institutional money that has not entered the cryptocurrency market yet. The public blockchain technology reduces the cost of raising capital, and this matters for small firms. One of the main benefits of trading digital assets on the public blockchain infrastructure is that anyone can issue a digital asset, and anyone can invest in a digital asset. This saves immense amounts of time and money for issuers who no longer need licenses, underwriters, or lawyers. The large cost of listing a company on a stock exchange erects barriers to entry for small and medium-sized enterprises (SMEs). The blockchain also removes the barriers to entry posed by regulations that limit investment possibilities for retail investors like grandma. In addition to enabling financial inclusion in the market, the public blockchain technology allows investors to trade “shares” of companies for much lower fees with instant settlement times. This means significant savings for retail investors and smaller profits for stock brokers. Not all cryptocurrencies follow the laws such as know-your-customer, anti-money laundering, sanctions, etc. Large investors want privacy. They do not want transparent blockchains that allow outsiders to see their transaction amounts and destinations. Public blockchain cryptocurrencies are impossible to retrieve if a private key is hacked or lost. Large investors will not want their shares of Visa stock being controlled by a private key. Instead, cancel and reissue features will be required before the security token market can gain adoption. In order to manage these concerns, several companies are working on private blockchains that will allow equity tokens to be stored and traded. The Swiss stock market’s Swiss Digital Exchange (SDX) near Sihlcity is working on a pilot project that wants to tokenize four main groups of assets. First, native tokens for SMEs that only exist on SDX will be issued, stored, and traded. Second, tokenize existing securities on the SIX Swiss Exchange. Fourth, tokenize cryptocurrencies, such as Bitcoin and Ethereum. In addition to SDX, Daura, a partnership between MME and Swisscom, is also working on a private blockchain. Blockchains specifically designed for trading securities will have KYC/AML integration, privacy, and cancel and reissue features that allow the stock exchange owner or broker to reissue shares to companies that lost their private keys or were hacked. Blockstream’s LIQUID and Polymath are also both examples of blockchains targeting the security market. However, important legal issues, such as whether or not tokenizing a fund violates fund distribution rights, still need to be answered. As mentioned in the next chapter, these criteria came from the 1946 Supreme Court case between a Florida citrus grower named Howey and the Securities Exchange Commission. In response, US cryptocurrency issuers are applying for Reg D. and Reg S. exemptions from security law. They are also exploring how Airdrops can circumvent security law. However, Europe does not have any concept of the Howey test. This is because the US has common law where court cases set precedents for future judgements. In contrast, mainland Europe has civil law, which is a principle-based approach to law. According to Article 2 let. b FMIA in Switzerland, a security is defined as, “standardized certificated and uncertificated securities, derivatives and intermediated securities, which are suitable for mass trading.” Subsequently, FINMA has already reported that many cryptocurrencies are securities. 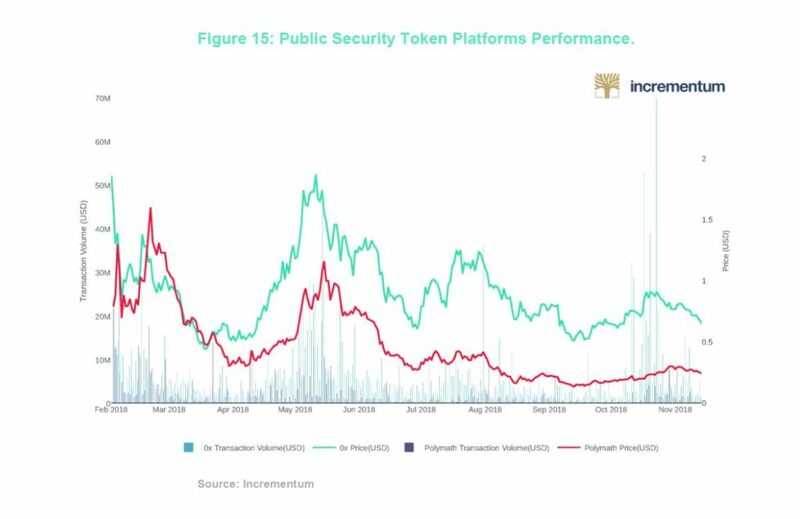 Should I Tokenize or Securitize or Both? Wealthy private persons (German: vermögende Privatpersonen) with CHF 2 million worth of financial assets, and direct real estate investments do not count! One type of structured product is a certificate. A certificate can be a tracker certificate that tracks the value of an asset, or a certificate can be actively managed. The asset could be an IBM share or a cryptocurrency index, or a physical plane, for example. Bank Vontobel, for example, creates many certificates. A certificate is similar to a bond because it represents a predetermined payoff promise that the issuer gives to the investor. This means that the investors can read in the terms of conditions what they will get from the certificate when the certificate expires. For example, the promise could be that “In two years you get the performance of IBM shares.” However, certificates can be actively managed as well. Actively managed certificates (AMCs) can contain any type of cryptocurrency, including privacy coins, pre-ICO coins, and ICO coins. Investment managers can also employ riskier strategies than UCITS or AIF can such as shorting and taking leverage. Certificates are like tokens in the sense that they can be used to securitize anything. The only difference is that certificates contain normal investor protections and they can be easily purchased through security brokers. Since they adhere to existing regulations, they have certain costs. Therefore, securitization of an asset using a certificate only begins to make sense for assets worth over ₣ 10,000. Unlike UCITS and AIF regulated cryptocurrency funds, such as Incrementum’s, structured products are exempt from the collective investment scheme regulations. GenTwo Digital, a joint venture of GenTwo AG and Inacta, is a Swiss consultancy firm based in Zug. GenTwo Digital was founded by Patrick Loepfe, a previous Vontobel Deritrade specialist, and the Vice President of the Board or/and Managing Partner of Forstmann, Philippe A. Naegeli. In an exclusive interview with Patrick Loepfe from GenTwo, we discussed the innerworkings of how securitizing a cryptocurrency works. The company helps financial intermediaries, high net worth individuals, and family offices turn bankable assets, such as actively managed accounts and structured products, and non-bankable assets, such as art and cryptocurrencies, into tradable certificates with Swiss International Securities Identification Number (ISIN) numbers. An ISIN number is code that uniquely identifies a specific securities issue. In Switzerland, obtaining an ISIN code for a security requires a prospectus, term sheet, and offering memorandum. In traditional finance, ISINs are used for stocks, bonds, funds, hedge funds, mutual funds, and other securities, whether for a private offering or going public with an IPO (initial public offering). What GenTwo does is build a financial company for each investment manager, and then the investment managers can issue multiple certificates within the company. GenTwo’s issuing structure is a unique dedicated issuance vehicle in Guernsey. Once GenTwo sets up the special purpose vehicle company, investment managers can build structured products as they wish. The advantage of setting up a dedicated issuance vehicle is that issuers can have balance sheet control where liabilities are stored off the balance sheet. Normally, issuers risk balance sheet risk from holding assets on the active side and liabilities that can be impacted from operational issues. Instead, an SPV structure leaves only the assets on the active side of the balance sheet and the certificates on the passive side. Since the certificate tracks the value of the assets that are held on the active side, there is almost no risk of a default. For example, Bank Vontobel has an SPV in Dubai from which they issue their certificates. Julias Bär has a SPV in Guernsey, EFG has a SPV in Guernsey. Certificates are not really competitors for tokens. Tokens can be issued by retail investors and anyone in the world can invest in them. At Incrementum, we suspect that one will not completely replace the other for the time being. Instead, some market participants will choose to invest in the regulated world and other market participants will choose to invest in the unregulated world. Many companies will raise capital in both markets. As Oliver Völkel said during the Crypto Christmas Market Outlook, the main problem with equity tokens is that a licensed exchanged where investors can trade these assets does not exist. 2019 will be a race for the first legal platform that can trade cryptocurrencies that represent securities. See Wegleitung für Unterstellungsanfragen betreffend Initial Coin Offerings, FINMA, February 16, 2018. 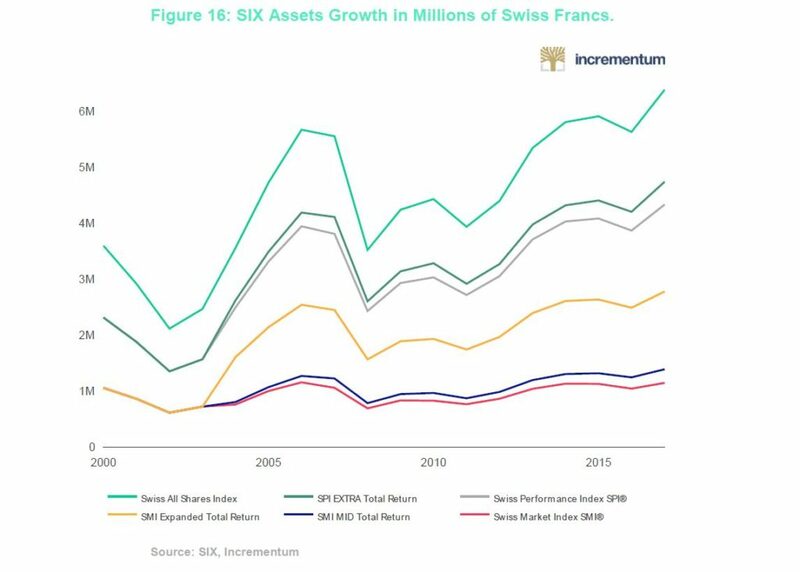 See “Qualified Investors,” Swiss Fund Data AG, 2018. Disclaimer: GenTwo is an official partner of the Crypto Research Report. None of the information you read in this article should be taken as investment advice, nor do the writers of the Crypto Research Report endorse any project that may be mentioned or linked to in this article. Please do your own due diligence before taking any action related to content within this article. Demelza Hays has been conducting research in the field of crypto-related assets since 2013. In addition to teaching a course on cryptocurrency at the University of Liechtenstein, Ms. Hays regularly presents and writes on the topic of cryptocurrencies. Her work has been published in several distinguished print and online magazines including Forbes, Der Standard, and the Frankfurter Allgemeine Zeitung.